“Not for monosyllables” – Foreign language skills are particularly important in times of increasing globalization: whether private for social media, for school / teaching or for a future profession. Speaking and writing English is nearly a “basic” in almost every industry – the more languages you speak the better. With our competent partners, we offer a wide range of language camps at various JUFAs. The best way to learn languages is from so-called “native speakers.” You can practice the foreign language here, away from the daily school routine, without performance pressure. It is best in an informal atmosphere with indoor activities and creative and active workshops. Working together to discover new words, applying yourself to the language and learning to improve vocabulary together. Surpass yourselves as a team and develop a sense of working together. But above all Have a laugh together about the language! 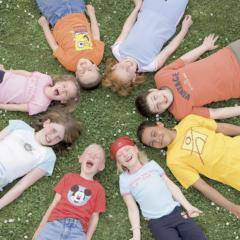 Would you like to give your child an unforgettable holiday camp, but still have questions? Our Service Team is happy to help. Im interested in the offer "Language Camps" in the .